There’s no business like show business; just ask the hundreds of high school theater students who packed the Music Hall at Fair Park Tuesday night. treatment. There’s no business like show business; just ask the hundreds of high school theater students who packed the Music Hall at Fair Park Tuesday night. These kids were nominated for DSM High School Musical Theatre Awards and were given the full star treatment. 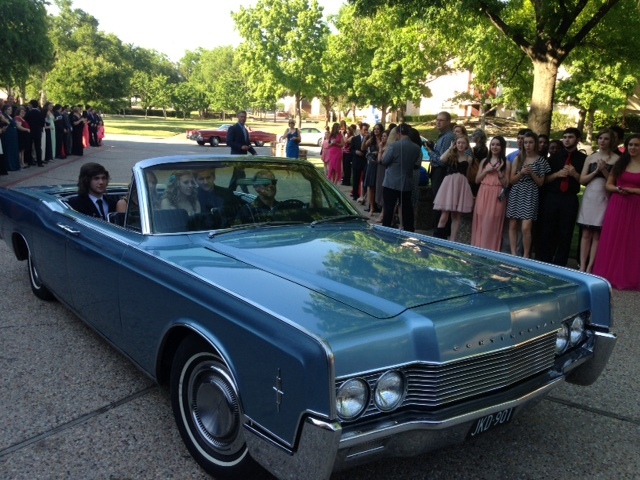 Vintage convertibles delivered the nominees to the Music Hall. They stopped for interviews, walked the red carpet and posed for photos, all before the awards ceremony even got underway. These actors may only be in high school, but Aledo’s Riley Morrison already has the award -show- pleasantries down pat. Riley was a best actor nominee for playing Seymour in Little Shop of Horrors. “Believe it or not I connected with a little bit of the shyness of Seymour. It’s something that I think we all have inside of us is we’re all a little bit shy when we’re with a very beautiful girl,” Riley says. But it was Plano Senior High School’s charming Cameron Wenrich who took home the Best Actor hardware as Frank in Curtains. He says he wasn’t expecting the win. “After I got over the stupification, it was one of the most exhilarating feelings in the world and I wouldn’t ask for anything better,” says Cameron. 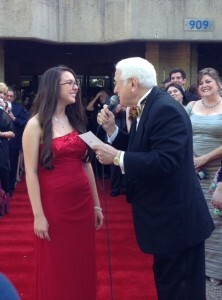 Mercedes Arndt, a nominee for best supporting actress, interviewed on the red carpet. 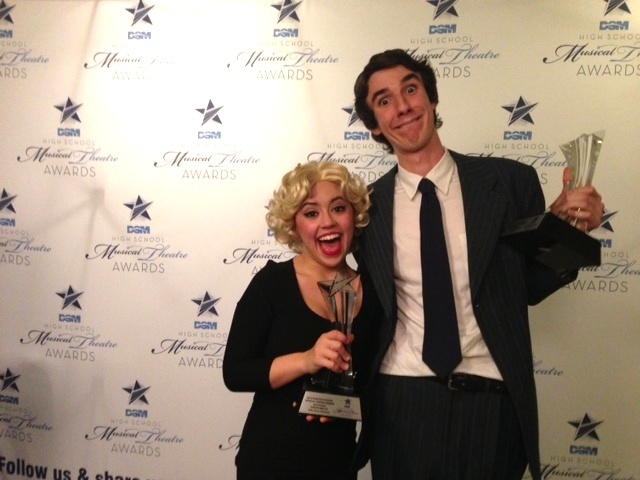 On the girl’s side of the competition, a 4’9’’ dynamo named Dakota Ratliff from Ryan High School in Denton won best actress for Audrey in Little Shop of Horrors. “It was my first musical that I saw when I was a little girl and I know it sounds cheesy but that’s kind of what started this all and we’d been begging to do this show,” Dakota says. While snagging the trophy was definitely a highlight of Tuesday’s show, it was obvious those in attendance weren’t just there for the win; it was all about the love of the game. Plano Senior High School’s production of Curtains also took home the Best Musical award. Cameron and Dakota as Best Actor and Actress will travel to New York this summer to compete for a National High School Musical Theatre Award. Kudos to all of them. Lots of talent in those kids.